Hyundai India to launch three mew variants of Hyundai Creta - Anniversary Edition, Executive Edition E+ and S+ Automatic Variant. Company also reveals new Earth Brown color for all Creta models. 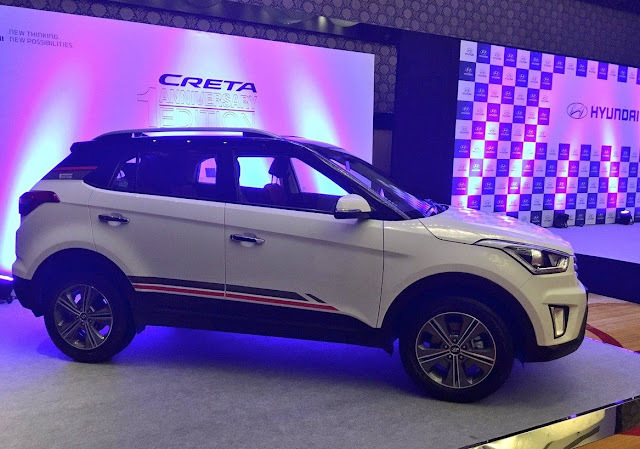 Creta E+ model will have price of Rs. 10 Lakh, S+ model will cost at Rs. 13.58 Lakh. The anniversary edition will have both diesel and petrol variants while petrol variant will have price of Rs. 12.24 lakh and diesel price will have Rs. 13.76 lakh. The first anniversary Edition was currently presently to Saina Nehwal for her achievement in Australian Open, This variant have dual tone exteriors accompanied with glossy black roof along with C-pillar and integrated spoiler, 17-inch diamond cut alloy wheels, jet wing inspired body graphics, black shark fin antenna and bright silver skid plates. Inside, the vehicle gets an all-black dashboard with red accents, premium black fabric with red inserts, 7-inch touchscreen AVN system and leather wrapped steering wheel with audio and Bluetooth controls. 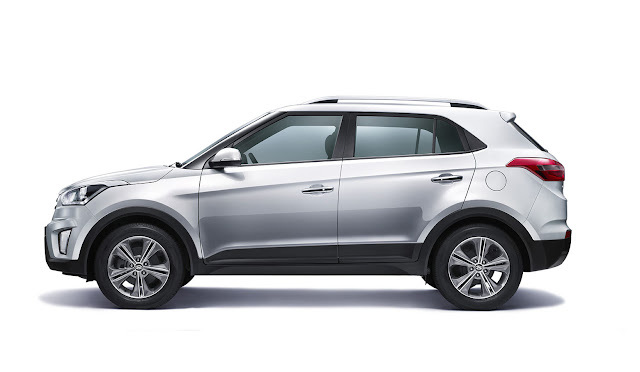 The company has introduced a new Executive variant with the 1.6L petrol engine option. This new variant gets additional features like 5-inch touchscreen audio with multifunctional steering wheel. It also features sporty roof rails, electrically adjustable ORVMs with LED turn indicators and rear air conditioning Vent. 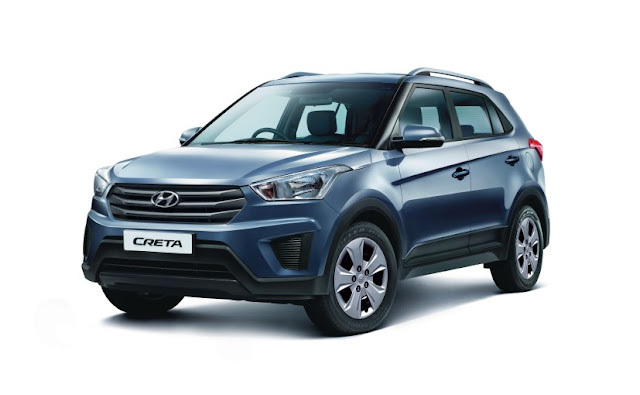 Viewing the increasing demand for diesel automatics, Hyundai has also provided an automatic gearbox to S+ diesel variant. The 1.6L CRDi VGT diesel engine gets a six-speed automatic gearbox.